Adapt your camper shell, hard tonneau, or hardtop resin roof to carry gear with this roof-rack system. Locking, Quick Mount legs mount to tracks. Silver, Vortex Aero crossbars accommodate clamp-on and channel-mount gear. 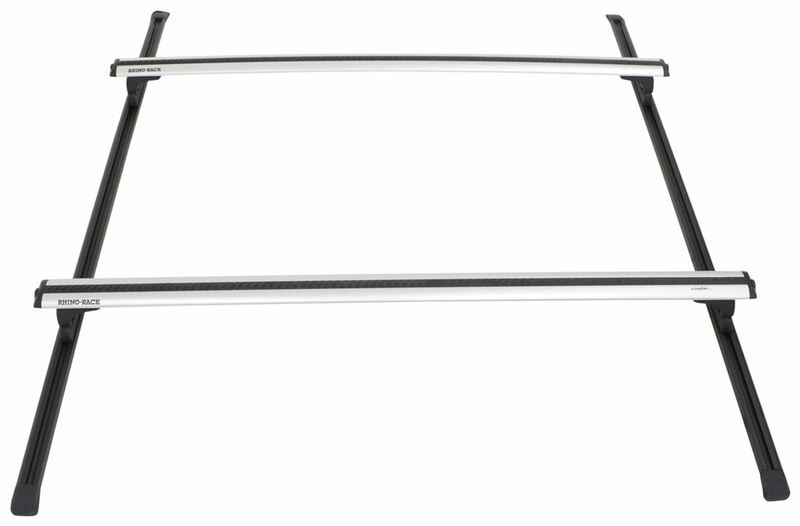 Fastest Shipping and Guaranteed Lowest Prices for Rhino-Rack Roof Rack System w/ 2 Vortex Aero Crossbars - Track Mount - Silver - 59" Long. Read our customer reviews of Rhino Rack ladder racks. Call 800-298-8924 for expert service or order your ladder racks part number Y02-490 by Rhino Rack online at etrailer.com. Adapt your camper shell, hard tonneau, or hardtop resin roof to carry gear with this roof-rack system. Locking, Quick Mount legs mount to tracks. 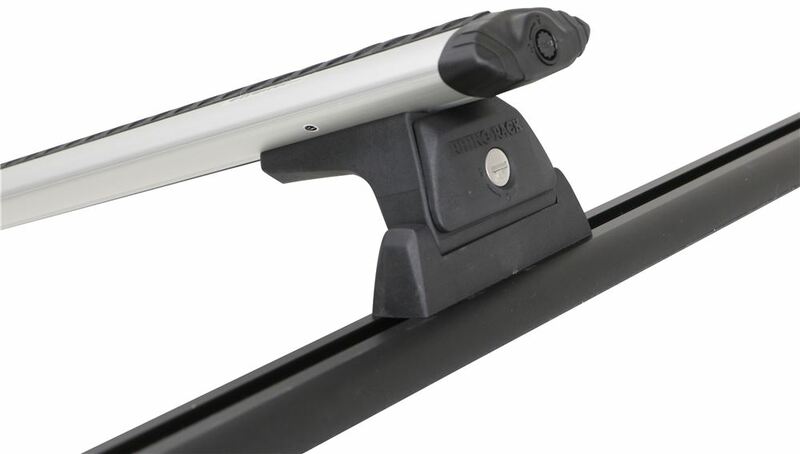 Silver, Vortex Aero crossbars accommodate clamp-on and channel-mount gear. 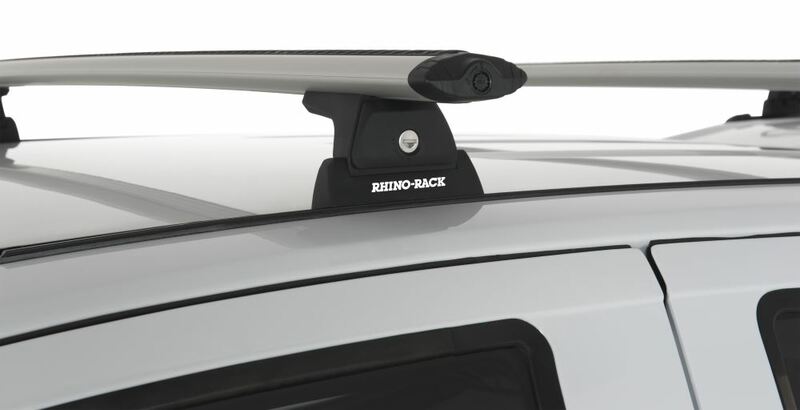 The bases of these Rhino Rack legs easily mount into the included Rhino-Rack RTC-style roof rack tracks with included hardware. Just slide the nuts into the tracks, line up the mounting plates, and bolt the bases down. After this initial setup, you can leave the bases in the tracks. Once you've set up the bases, installing and removing your roof rack is easy. 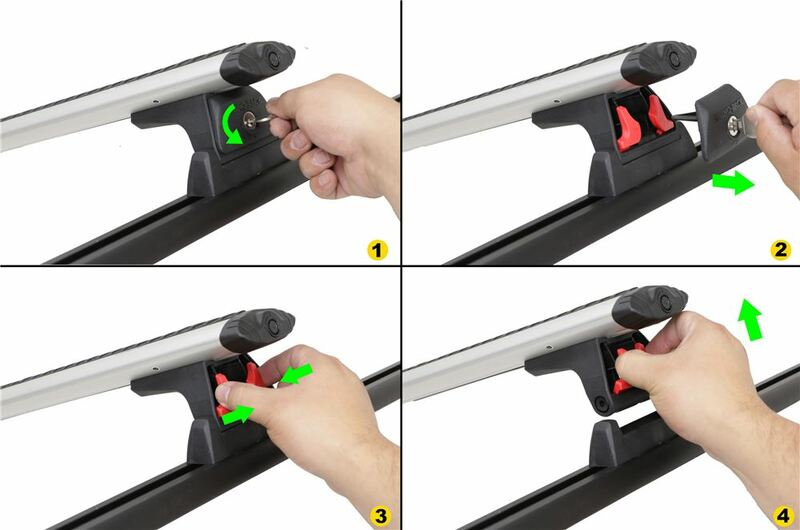 The Quick Mount legs have an integrated trigger system that creates an easy, tool-free installation. To install a leg in a base, pinch and slide the internal triggers together. Order: RelevanceNewestRating - High to LowRating - Low to High Adapt your camper shell, hard tonneau, or hardtop resin roof to carry gear with this roof-rack system. Locking, Quick Mount legs mount to tracks. Silver, Vortex Aero crossbars accommodate clamp-on and channel-mount gear. Helped me move across the country to Utah and they worked great there. Sold them in June hope theyre working out great for the Guy. Love the Rhino rack! Sometimes I think I could stand the truck Grand Cherokee upside down on it! It was a little tricky to install, but once I found YouTube vids I was good to go. $88.20 would also further minimize the noise-causing turbulence. The SportRack Pop-Up Camper Roof Rack # SR1020 can be mounted to the roof of your 2009 Forest River Sunseeker 2600 as long as the trailer is no larger than 85-1/2 inches wide. If the SportRack does not fit, another option is the Rhino-Rack Roof Rack System # Y02-490 which has 63 inch tracks that are mounted to the roof of your RV. To carry both surf boards on the rack you may be interested in the Thule SUP Shuttle # TH811XT. 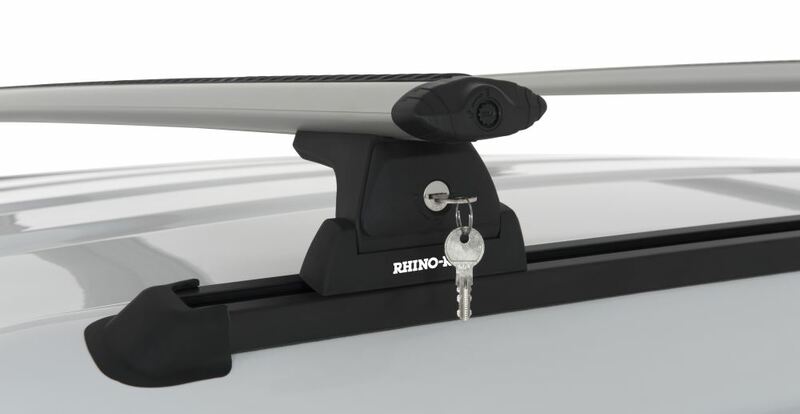 To mount the Rhino-Rack J-Style Kayak Carrier # S510 to the roof of an RV you can use the Rhino-Rack Roof Rack System # Y02-490. This is a universal track mount system with Vortex Aero bars. The tracks are 63" long but can be cut to length, and the crossbars are 59" long. 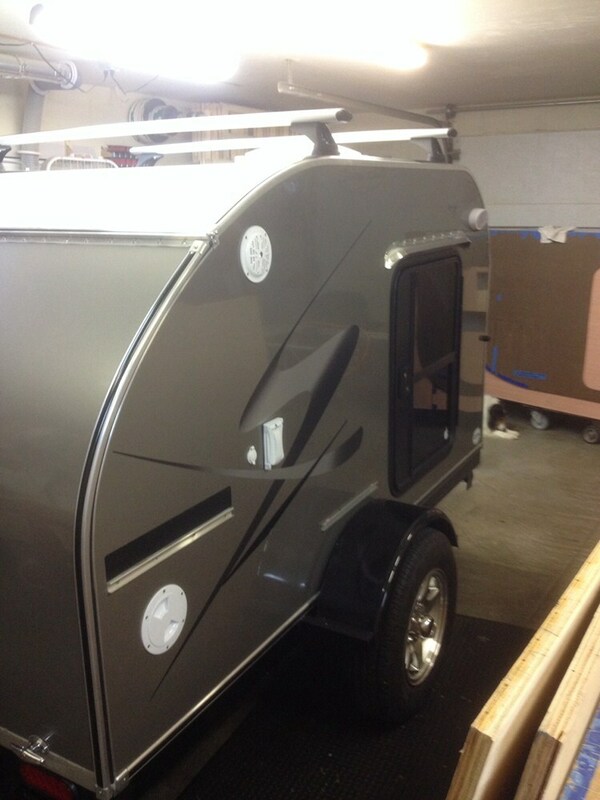 This system has a weight capacity of 220 lbs (or lower if your roof weight capacity is lower). 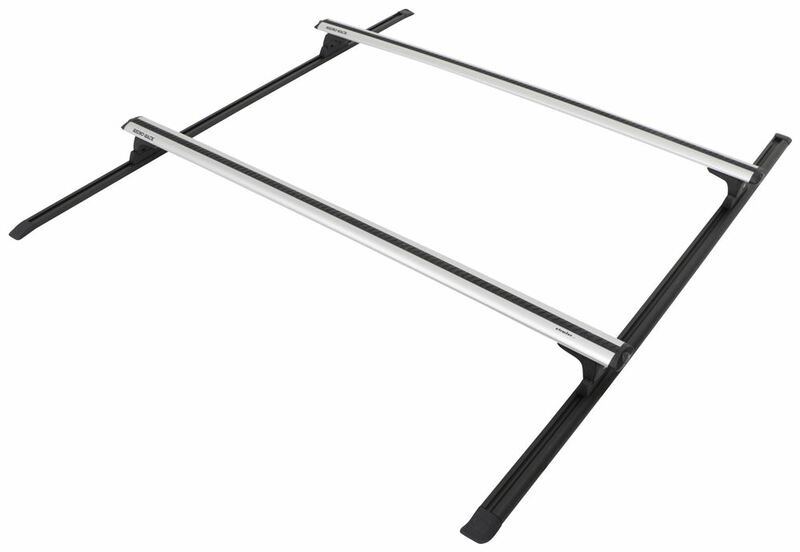 The Rhino-Rack Roof Rack System w/ 2 Vortex Aero Crossbars - Track Mount - Black - 59" Long # Y02-490 will be well under 1 foot. The leg height is listed as 3 inches, the crossbar height is 1-1/2 inches, and the track is approximately 1/2 inch tall. You will be at right around 5 inches above your roof so well under the 12 inches for clearance. I've attached a photo to assist with a better angle for the dimensions. 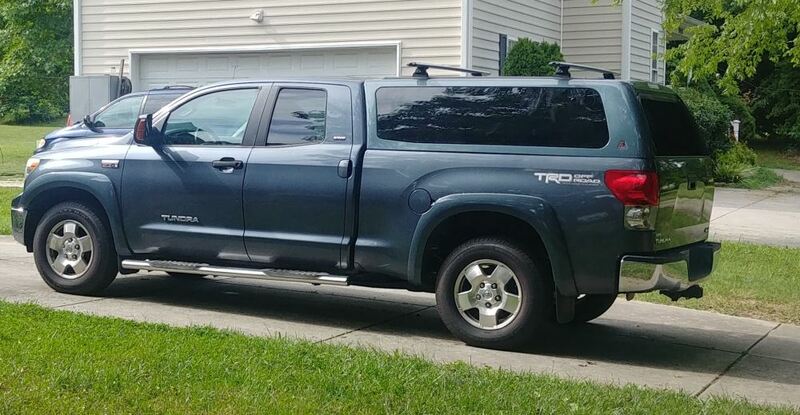 The Rhino-Rack Roof Rack System w/ 2 Vortex Aero Crossbars - Track Mount # Y02-490 will work on a pop-up camper. 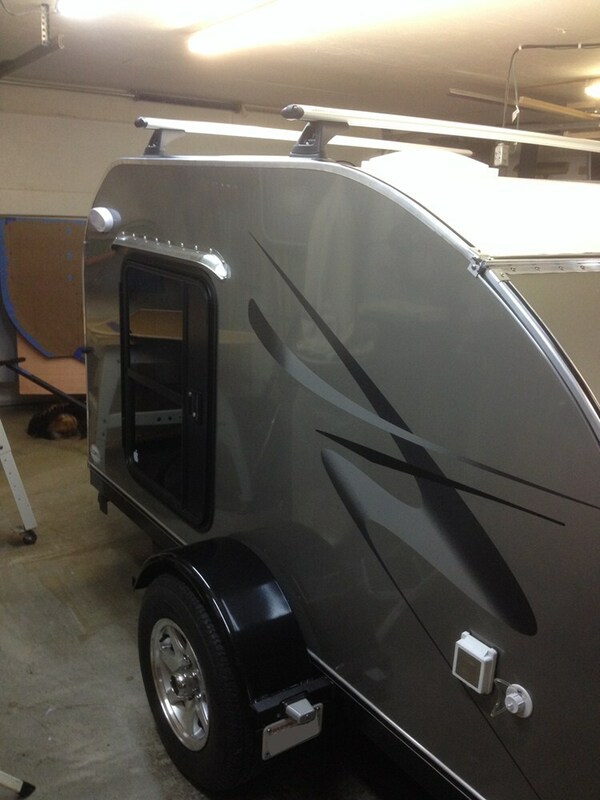 The system will require drilling into the camper canopy/roof to allow the connection of the rails. The rack itself is rated for 220 lbs, but your camper may have a different restriction so you should check with the manufacturer about the weight capacity of the roof. 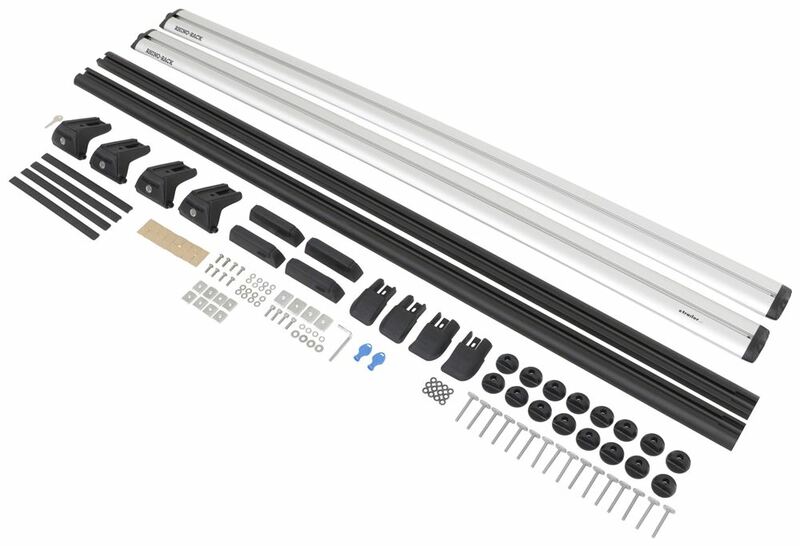 I attached a page that has all of the Rhino Rack roof tracks that we offer for you to check out. For example, we have the 74 inch long tracks part # RRRTV188 which would be a bit longer than what you have. Notes: Part has very minor install marks. All hardware is still present.